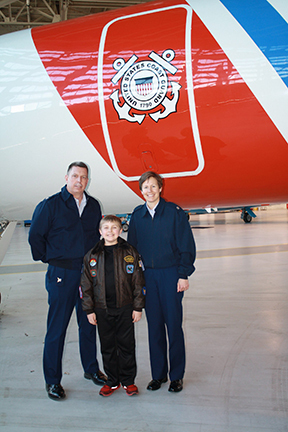 Beau, who turns 14 this year, has a special interest in World War II history and loves learning about airplanes. He goes to school in the morning and catches up on homework and video games at night. In most ways, Beau’s life mirrors the lives of his friends. Except Beau was diagnosed with severe hemophilia A when he was just 6 months old. Trying not to panic, Kari sought the advice of a neighbor, who worked as a nurse in the ER. She urged Kari to take her son to the doctor for a check-up. After performing a series of tests, Beau’s pediatrician diagnosed him with a rare genetic disorder called hemophilia A. This explained the bruises on Beau’s body—insufficient levels of a protein called factor VIII prevented his blood from clotting normally. When left untreated, it can lead to serious complications, including internal bleeding, damage to joints, and infection. The news left the family reeling. It was especially difficult to comprehend the diagnosis since there was no known family history of the genetic disorder. 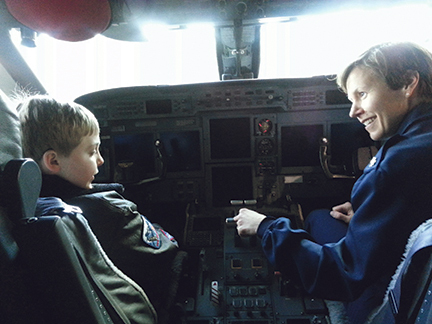 “I couldn’t say my child has hemophilia out loud without crying,” says Kari. There was no quick-fix solution to replace the missing factor in Beau’s blood. Treating the condition meant he would require ongoing intravenous infusion treatments to stabilize the clotting factor in his bloodstream. 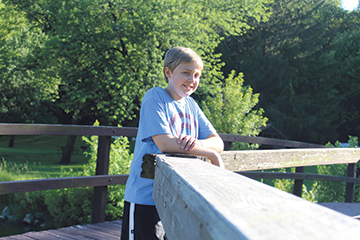 Throughout the next year, young Beau underwent 15 infusions in the hospital. And then the family was hit with more devastating news: 18-month-old Beau had developed inhibitors—antibodies that attack and inactivate factor treatment—making it nearly impossible for the infusions to work effectively. During the next few years, Kari, along with husband Craig and their daughter, Jordyn, plunged into action to help Beau through injuries and spontaneous bleeding episodes. Amidst all the turbulence, Kari and Craig saw a glimmer of hope when they discovered in-home nursing services with the expertise to treat Beau’s complex condition. Nursing staff worked closely with the family to help them become comfortable infusing Beau, which allowed Kari and Craig to settle into a routine that accommodated their work schedules. These days Beau is a pro at self-infusion. He puts his skills to use every other day with an infusion regimen for immune tolerance, and he’s able to treat on demand when he has a bleed. Today Beau and his family spend their time advocating for the hemophilia community instead of worrying about the next bleed.